GIVEAWAY!! Be sure to leave a comment on this post for a chance to win one of three $25 prizes. Winners announced the week of December 19-23, 2016. Good Luck! Hello and Welcome to BoBunny Blog! With artsy feel, a simple sheet of paper can become something more! It's just a touch of color, some glitter and a notch to turn a circle of paper into a beautiful angel placeholder! This is my project today: a personalized angel placeholder with some fun artistic decorations! What do you think? Do you like? I drew the silhouette of the angel and then I cut out the outline. I painted the white back of a 6x6 paper with Pentart Liquid Metal (or with your favorite shade of glitter paste), that matches or coordinates with the color of the front patterned paper. When the back was dry, I decorated the angel clothes using BoBunny Emerald Glitter Paste and then Gold Glitter paste was ap[piked to the wings for the textured look you see here. I accented in a few spots with mocha Jewels and then created a small scroll with the name of each diner and I glue the angel with 3L Adhesive. And here it's an artistic angelic accent for your holiday table...for a sparkling Christmas with BoBunny and 3L! For my project today, I wanted to create a few new pages for my art journal featuring the lovely Felicity collection and of course 3L Scrapbook Adhesives.. I prepped my pages using White Gesso, let dry and then blended Pearlescents along the edges to color coordinate the foundation pages. The art journal is reflective in nature and all of my pages are inspiration themed in such a way to lift your spirits and be encouraging. Without fail, BoBunny always has the perfect sentiments for my pages. When both pages are opened it reads "Today and Always... Be the Best Version of You!". "This is worth remembering!". 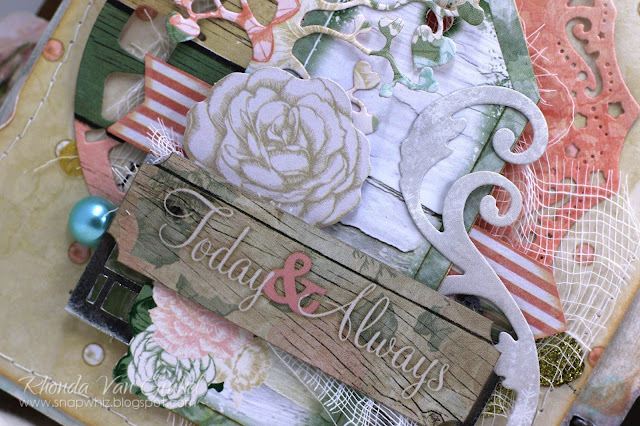 As you can see, I created a collage of die cut elements, Foil Vellum, Noteworthy and Combo Stickers along with a few cut elements from the papers and added Glitter Paste, Glimmer Mist splatters, gems and stitching for texture and interest. I also used my Scrapbook Adhesives Refillable Tape Runner to adhere my layers. I made sure to cover the stitching on the back with 3L adhesive to secure the paper nicely. For my Combo Sticker sentiment, I used the 3D Foam Squares. I love these more than words can say! Here is my second page of the spread. I did a bit of fussy cutting on my patterned paper for the parasol and the clock elements. 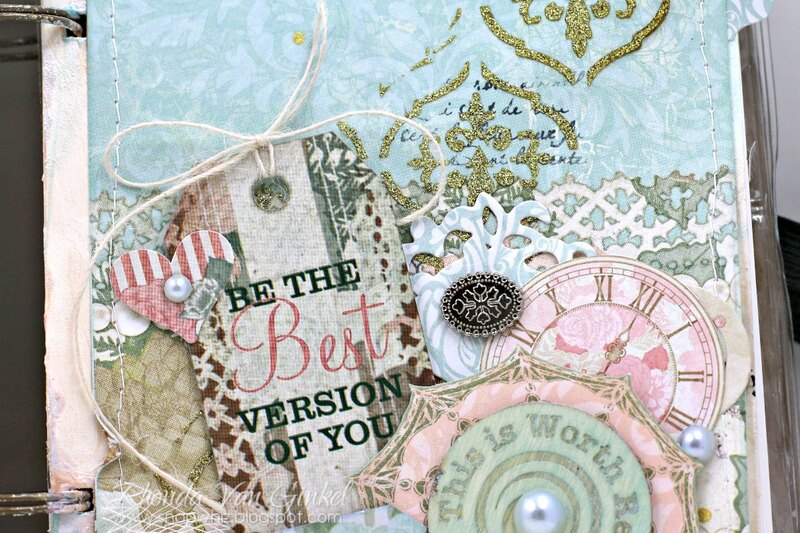 A few more die cut elements are added and layered along with some pretty Double Dot Jewels and Brads. 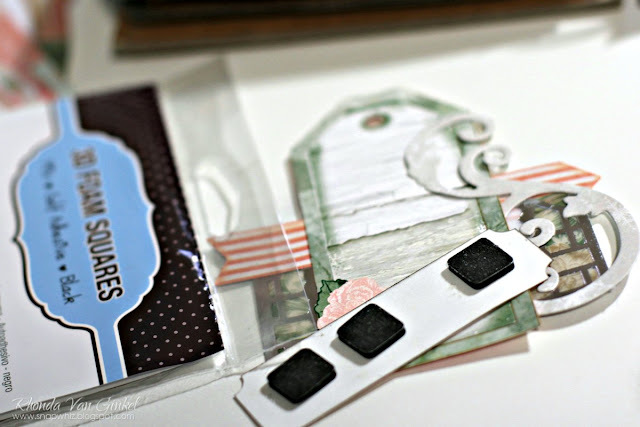 On this page, the Combo Sticker Tag with sentiment is adhered with 3D Foam Squares, as is the cut parasol. The 3D Foam Squares allow you to conveniently tuck other elements and pieces as you assemble the layers. I love the little bits of whimsy in the Felicity collection, from the clocks and lace to pearls and wood grain, it's such an interesting and pretty design and combination of colors. I hope that I have inspired you to explore some art journaling today. Thank you to Scrapbook Adhesives for the generous assortment of goodies, it will be put to good use! Love the angels... so cute. And the Art Journal is amazing! Those angels are adorable - I might make those in different styles like steampunk or vintage! the angels look so festive! 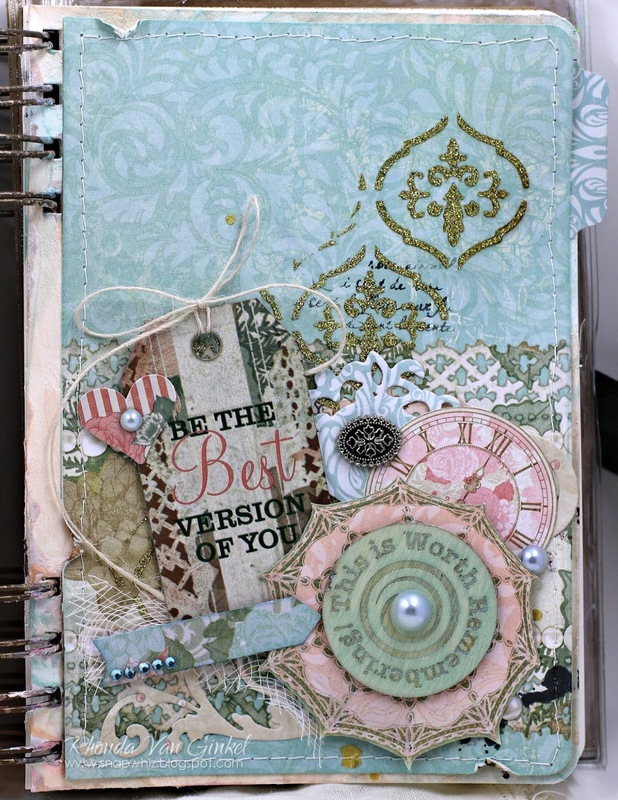 Loving the vintage feel on the Art Journal and the colors you chose. Such bright and happy colors – just what this dreary winter needs! What beautiful projects. THANKS for sharing. Absolutely LOVE the Angels! I am an angel collector and have a room dedicated for my angels in memory of my daughter. The art journal pages are beautiful! Thanks for sharing! Love all of the glitter. the art pages are so elegant. Oh wow, I am itching to try that glitter paste. Both projects are beautiful! I love the use of gold glitter paste on each of them; it adds so much! 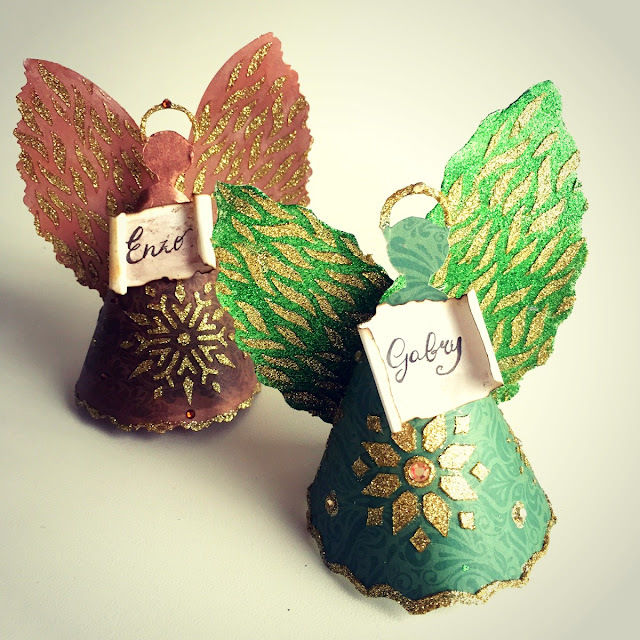 Glitter paste and adorable angels! Love your glitter embossing paste! So much inspiration in one spot! Another day of fantastic projects. Those angel placecard holders are too cute. All projects are wonderful. These angels are delightful! The art journal is so beautiful! Such a week of inspiration! OH my! I'm in love with both amazing projects!! The angel placecard holders are the most darling little things ever! I love that glitter paste SO much!!! What a great way to showcase it!!! 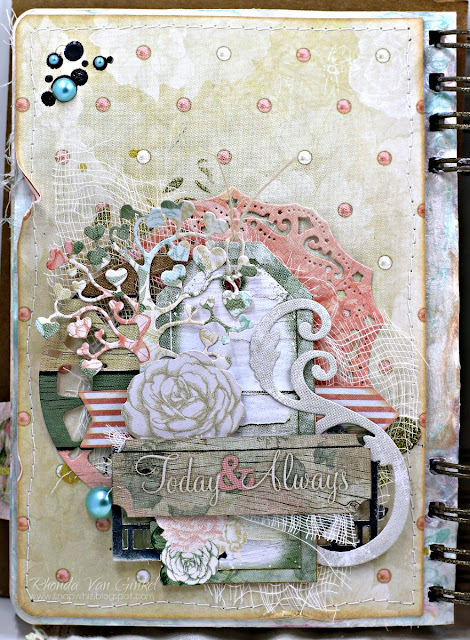 And the journal page is most gorgeous!!! I'm in awe of every marvelous detail! Thanks for all the incredible inspiration over this past week, everyone! It's been really fun!! The angels are so pretty. 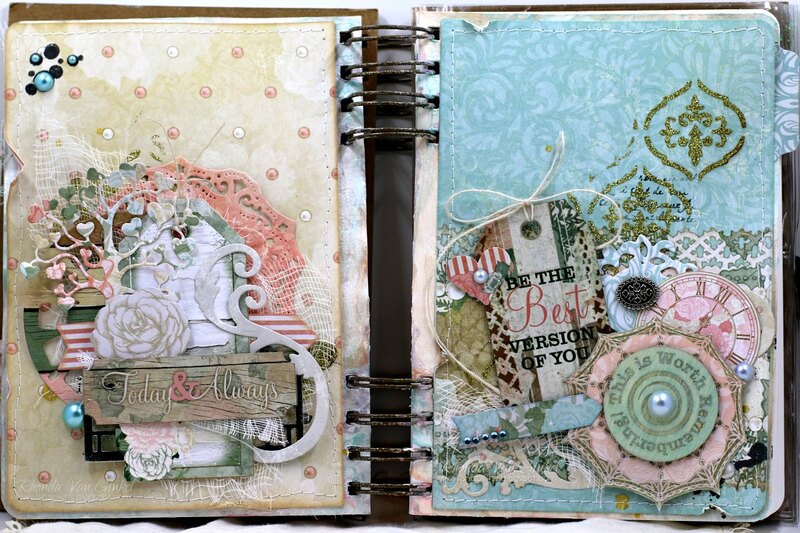 Love the beautiful journal pages. Thanks for the wonderful inspiration. Awesome projects!!! Those little angels and these pages are breathless!!! You're so clever Ombretta! Loved the angels' texture and glitter! And Rhonda, I love your beautiful details in your gorgeous album! Love these projects! Beautiful textures and colors on the angels! Lovely album too! 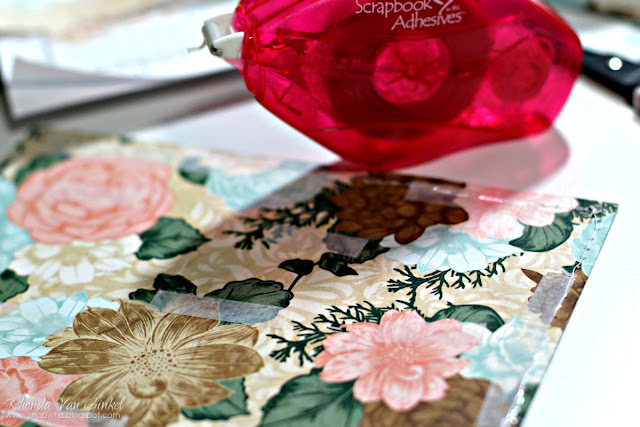 Love the glittery gold embossing on both projects! Fabulous!